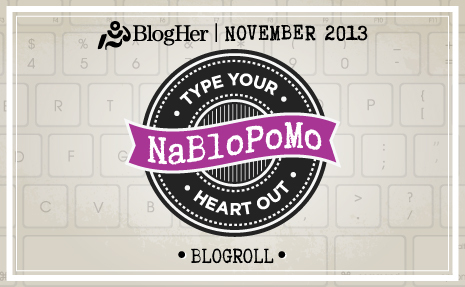 During the month of November, I will be participating in the National Blog Posting Month (NaBloPoMo). Every November, thousands of bloggers make this commitment to post daily. But it’s about much more than posting; it’s about community, connection and our shared craft. Those are all values worthy of a monthlong public celebration. Since I post on this blog daily as well as another daily blog, this is something I need to do to expand my blogging exposure. NaBloPoMo happens every month, but due to its proximity to NaNoWriMo (National Novel Writing Month), November tends to be the “official” month, and it is unofficially HUGE. Think of it as one big blogging party meant to give you enough energy, ideas and inspiration to supercharge your blogging mojo and carry you through the next 12 months. We do our part to keep the energy going by celebrating the big crowd by highlighting posts and handing out prizes. Participating in the National Blog Posting Month - November.